With a considerable amount of experience, "The Industrial & Scientific Works Research Institute" has been able to create a distinct place for ourselves in the industry. 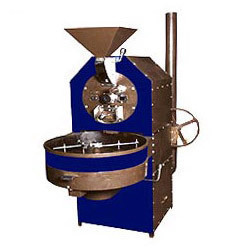 Our range comprises Roasting, Grinding & Blending Machine. These are well known for less power consumption, high efficiency, durability, low maintenance cost and sturdy construction. We have a state of-the-art-infrastructure facility sprawling across 4800 square feet which helps us in maintaining the production of 100 equipments per annum. At our manufacturing unit, we make use of top grade raw material such food grade stainless steel and mild steel components. Sourced from trusted network of vendors, our products are quality tested as per ISO certified standards. This has allowed us to keep our clients well contented spread across India, Sri Lanka, Singapore, Dubai, Musket, Sudan and U.K. and has the capacity to produce up to 100 equipments per annum. Some of our privileged clients are M/s Coffee Board India, M/s Kannan Departmental Stores and M/s Kannan coffee.